The chemical handling training course can be tailored to meet the needs of any company, whether it is a high or low risk industry. This course is intended for workers who come into contact with chemicals in the workplace. This course is available only to private groups. This allows courses to be targeted towards your own companies requirements. Would you like to arrange a date for your company? To host this course please call 1850 315 415. Alternatively, you can fill in the form below and one of our Training team will be in touch. Legal Overview – Employer & Employee duties in current legislation. Routes of Entry of Chemicals – how chemicals can cause a negative affect. Specifically, depending on route of entry and dose. As well as the duration of exposure. 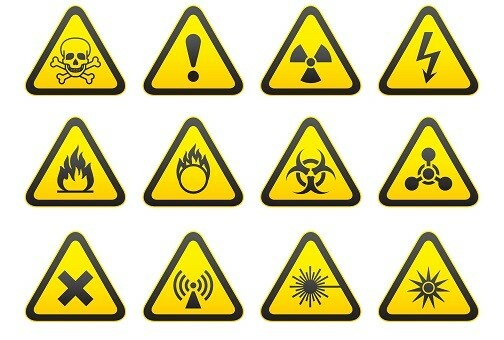 Classification of Hazardous Substances – site-specific information, in relation to particular chemicals can be addressed in this section. Use of Material Safety Data Sheets. Overview of Safe Systems of Work to include ‘Permit to Work’ & ‘Hot Work’ permits.